Dallas, Texas and the CBT Beth Torah Men’s Club have got exciting news coming your way. 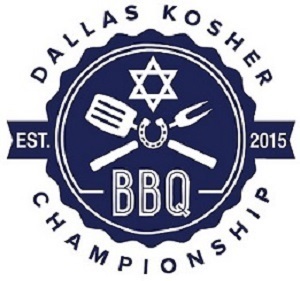 On October 28, 2018 the Fourth Annual Dallas Kosher BBQ Championship sanctioned by the Kansas City BBQ Society (KCBS) will get you heated with excitement and they’ll have me, The Kosher Guru as a celebrity judge. Teams from around Texas and beyond will compete in a delectable, family-friendly event that is sure to draw a big crowd. Starting at 11am at Sunnyland Patio Furniture Coit at Spring Valley. Charity proceeds to benefit Chai Community Homes for Adults, Inc.
? dallaskosherbbq.com to see how to become a sponsor, register your team and take part of this family day of fun! Kosher Is Coming Back to NYC!